In which motivation is of the essence. Isa is the half-month rune through 13 December. Uruz reversed is the intuitive stave, and Mannaz indicates the planet’s needs. Read right to left is Isa, then Uruz reversed, followed by Mannaz. 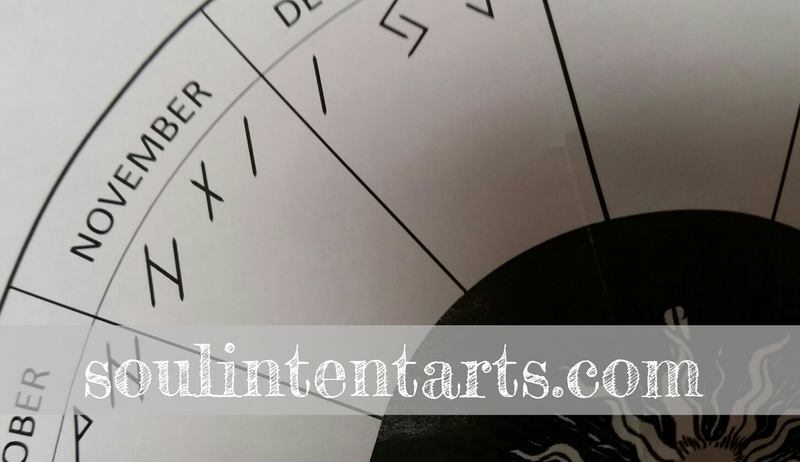 The half-month rune is set by the runic calendar, and governs for a tad over two weeks. The intuitive stave (meaning, I draw it blind) indicates the life force most available to us, which brings the focus of the half-month rune into sharper focus for the present week. It suggests how we can handle these energies. The planetary stave indicates the state and possibly needs of the planet. 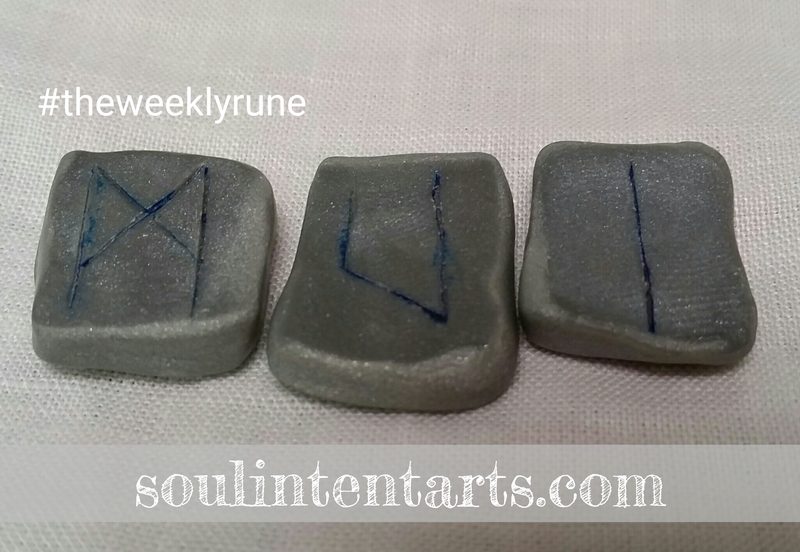 Following is a summary of The Weekly Rune. Read the full runecast for more details on how these runes impact human life force over the next week, and how to best manage the curves and twists. Last week, Isa set in motion an evolution of events that will culminate by May of 2017. Focused on the proper cultivation of new consciousness, this last of the winter staves comes with a walk don’t run energy. Indeed, nourishment of the sacred seed can’t be rushed. It is the epitome of trusting right time, right place, right action. Nothing about this rune can be forced, coerced, or quelled. Remember that sitting still requires as much effort as motion. Such is the mantra of this week. The life force of the next week is characterized by an intense need to come into the fact that the personal truth bubbling to the surface right now must be thoroughly allowed. We don’t have to understand what it is just yet, though if we do, that insight can soothe the tension around restraint. Still, blatantly clear insight into that truth isn’t a green light to do anything with it, yet. Pausing, allowing its process to unfold in its own time–that’s the emphasis for now. Think about it: freezing has to happen in order for chaff to die off, for new life to have space, nutrients, and motivation to form, to grow. In Nature’s cycle, what comes from that seemingly restful state of shaping doesn’t become apparent until the following spring. As the plant and animal life hibernates and comes back to life in warm weather, so do we. This is the trend Isa speaks of. Uruz reversed only complicates feelings of tension around Isa’s frozen state. These two staves have a curious, though not evident connection. Read the Elder Futhark in terms of the Old Norse creation story, and it quickly becomes apparent that the elements–key characters in the narrative–are out of balance. When we think of elements, through our modern and often melting pot perspective, we think in terms of water, fire, air, and earth, with the occasional wood and metal thrown in. In the Old Norse observation, there was only fire and ice. In terms of the futhark, there’s a great deal of fire in the first ætt, with only a bit of ice (Uruz). This is significant, in that in the creation story, Muspelheimr existed first–the land of fire. Only when the icy run off of the rivers of Niflheimr–the land of ice–met Muspelheimr did creation as we know it occur. However, it isn’t until we get to the second ætt, that we’re greeted by an equivalent amount of ice. That correlation between Uruz as the only icy stave in the first ætt, then skipping all the way to the deluge of the winter trio of the second ætt reveals the need of motivation for the sacred seed (Isa) to be positioned well in order to form. Generally an indicator of the drive to self-start, to self-motivate, and have the elements in place to do just that, Uruz reversed brings a different dynamic. It can indicate a molasses rolling downhill sort of lethargy, or it may point to a place in which energy is being misdirected. Either way, a vital misallocation of life force is ripe to occur, though we can be attentive to it. We can be aware of where we are most likely to misguide ourselves, and stay cautious about the places that surprise us. Keep in mind Uruz is about the creative force, and not what is created. For now, that’s Isa. This week, we’re not well-positioned to form our personal truth, and we need to be impeccably aware of that fact. Monitor motives, and practice radical honesty. Ultimately, Uruz reversed is a cul-de-sac of creative force. It isn’t gone or lacking; rather, it’s not flowing on the plane it would like. I suspect like Isa’s incubation of personal truth, this realignment of life force and focus can’t be manhandled into right direction. Feelings of hurry up and stop will be rampant this week. Instead of measuring progress, focus on its source. Mannaz may help with locating that source. The planet’s message this week is to get out. Do new things. Avoid falling into a rut. Remember, Mannaz is the mid-point of Isa manifest. It is the point that the sacred seed outgrows its protective shell and must go out into the world. This week seek new social engagements and groups. The regular old interactions will not reinforce what’s needed to know about where all of this is going. They will not draw out what must be innate to nurture. It’s going to be hard to put one foot in front of the other, this week. However, so much can be accomplished standing still. Embody that best of that stillness, and see what it has to share. Learn more about the Reclaiming the Runes Intensive and preview course.